Before wind turbines and solar panels, nuclear generation was the latest and greatest green energy source. Splitting the atom was believed to be the way to power the future cleanly and cheaply. In recent years, nuclear generators have struggled to keep pace with the falling price of conventional fuels–primarily natural gas–and have failed to garner the government support given to the wind and solar industries. Worldwide, the construction of new nuclear reactors has largely stalled, leaving nuclear to produce around 5 percent of global energy. A new report released by the MIT Energy Initiative (MITEI) this week argues that nuclear generation is a key part of a low-carbon future and that changes to generator design and government regulation are needed to support the industry. With world electricity consumption set to increase 45 percent by 2040 though, a scalable clean energy solution is needed. And it seems that nuclear fits the bill. The researchers from MIT collaborated with staff from Idaho National Laboratory and University of Madison-Wisconsin and plan to present the report at events around the world in the coming weeks. Their focus on nuclear energy can play a key role in a global clean energy future–and how proper policy making can help achieve this goal. The study’s authors admit that the current approach to nuclear generator construction is deeply flawed. Projects frequently suffer from design flaws and are finished months or years behind schedule and grossly overbudget. “The recent experience of nuclear construction projects in the United States and Europe has demonstrated repeated failures of construction management practices in terms of their ability to deliver products on time and within budget,” they wrote. To solve these problems, the group advised changes to both construction management practices and the design and manufacture of the generators themselves. By shifting to a standardized reactor design, the cost of manufacture parts would decrease. At the same time, promoting specialization in the generator construction industry would further reduce costs by avoiding delays. Even if these changes were enacted overnight, it would be years before the new generators could come into service. In the short term, this would likely hurt progress towards carbon emissions goals. To help prevent these early closures, the researchers advocated several different policy responses for state and national lawmakers, including zero-emissions credits — payments made to electricity producers where electricity is generated without greenhouse gas emissions —which have been tried in New York, Illinois, and New Jersey. 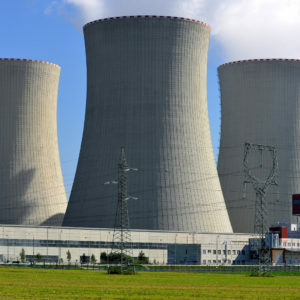 They also recommended that the government provide funding support to allow people designing new reactors to share regulatory, research, and development costs, and to create production credits that reward the success of new designs. All of these approaches would be a much more aggressive nuclear policy than has been seen in decades. Right now, nuclear has struggled to gain widespread support in the U.S. and in other parts of the world. The researchers are hoping that their findings may help to change minds. In a “carbon-constrained” world, the power of the future may need to be nuclear.